A row is brewing between Air France and Airbus as to who was to blame for the disaster which overtook AF447 on 1 June 2009. French accident investigators have appeared to say that the essential fault was down to crew error. The Bureau d'Enquetes et d'Analyses (Bureau of Investigation and Analysis) says the pilots failed to recognise that the aircraft, flying at +35,000ft, found itself in a stall condition. The pilots had not received any training for this state of affairs and did not apply the textbook remedies, which might have averted the tragedy. The cause of the condition was probably due to the icing up of an on-board icing indicator known as a pitot tube. Air France said there were multiple probable factors behind the loss of the Airbus with all 228 people on board and that a chain of events had started with technical data problems. 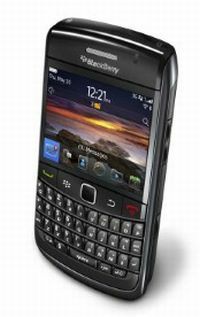 It said investigators had not found any reason to question the crew's technical skills. BAA’s legal people may be feeling overworked with Chief Executive Colin Matthews indicating that it might challenge the UK’s Competition Commission ruling forcing it to sell Stansted Airport, and its erstwhile client carrier, Ryanair, saying that it has instructed its lawyers to file a complaint for overcharging. "The natural place for us to appeal (against) the ruling would be to the UK Competition Appeal Tribunal and we have until September 19 to do that," he said. "We won't wait until the last minute but we have some more work to do to scrutinise the report in more detail but as soon as we're done we'll get on with it." 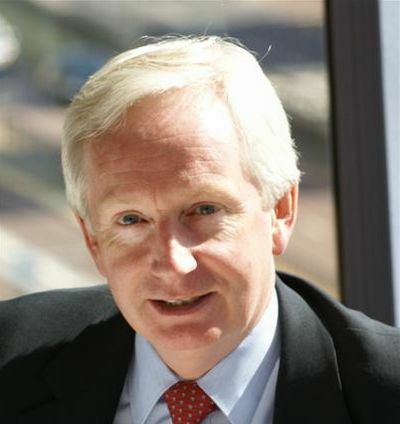 Matthews also refused to rule out taking the matter to the Court of Human Rights if a judicial review fails. 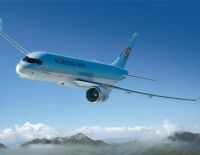 Korean Air is the latest carrier to join the Bombardier C class order book bringing the total commitments up to 133 (plus 119 options and 10 purchase rights). The C Series aircraft, with accommodation of between 100 and 150 passengers, generally sits in a niche with the Embraer jets for the most part smaller, with both the new Airbus and Boeing single file ‘planes offering more capacity. Bombardier says that the C Series family will offer a 15% cash operating cost advantage and a 20% fuel burn advantage, greatly reduced noise and emissions as well as superior operational flexibility, exceptional airfield performance and a range of 2,950 nm (5,463 km). It will also provide passengers with wide-body-style seating in a single-aisle aircraft. The Israeli Cabinet has agreed the go-ahead with the new airport for the resort city of Eilat, which borders the Red Sea. 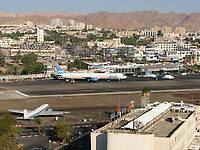 The current Eilat airport, which dates from the War of Independence, and is situated in the middle of the downtown area, only has a 1,900m long runway, suitable for a Boeing 757 on the short flight to Tel Aviv, but not on sectors to European destinations. Just 20 miles north of the city, is to be called Timna, and will be capable of accepting long range aircraft from the United States and India, both potential large markets. The only negative issue from the development is that it will put paid to ideas of a joint Jordan/Israel cross border airport rather like Basle and now Gibraltar. Once a Hampton Inn, and just two miles east of the terminals, the Wingate by Wyndham is the latest addition to Los Angeles International Airport’s (LAX) increasing number of business traveller orientated hotels. The 148-room property offers oversized guest rooms with ample living and working space; complimentary high-speed wired and wireless internet access; flat-screen televisions; in-room coffee makers; and safes. The Supermarine Spitfire, perhaps the greatest fighter aircraft of all times, will be seen en masse over Goodwood during the extremely popular “Revivals” event 16-18 September. 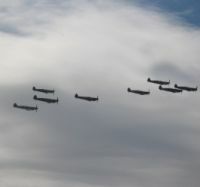 The dozen Spitfires assembled for the 2011 Revival will be the most to take to the skies over Goodwood since World War II when the grounds of the historic house became RAF Westhampnett during the Battle of Britain. The Supermarine Spitfire took its maiden flight in March 1936 at nearby Southampton Airport, and went on to become the backbone of the RAF Fighter Command as the key front line fighter during the war. The Spitfire was produced in greater numbers than any other British aircraft, with over 20,000 examples being built. Whether the Brazilian airline TAM becomes the first carrier to offer wi-fi service across the South Atlantic remains to be seen but the Sao Paulo-based carrier has announced plans for a roll-out in the second half of 2012. The go-ahead for the services, supplied by OnAir, follows nine highly successful months in which passengers on selected short haul flights have enjoyed the chance to make phone calls, send and receive text messages and emails, and access the Internet. With the new installations they will be able to use notebooks, tablets or other devices compatible with wi-fi to access the internet. An American Airlines' pilot was assaulted last week as a flight from Miami to Los Angeles was about to take off. It seems that when asked to fix his safety belt a passenger was asleep and inebriated. A pilot and crew member attempted to de–plane him as he was clearly a danger. At this point the pilot was attacked by the passenger's brother and suffered a black eye. The new security doors to the cockpit work both ways. If you are a pilot and have an unruly traveller stay up front. Let the cabin staff and helpful passengers sort it out! The 1 August target date set by Australia’s Tiger Airways, an offspring of Singapore International Airlines, to start flying again has not been met. The Civil Aviation Safety Authority of Australia in June grounded Tiger's fleet over safety concerns after two planes flew below the safe-altitude limit within a month. 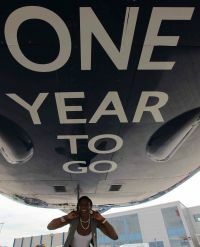 Whilst not made public the aim seems to be for the carrier to become operational by 5 August. In the meantime speculation is rife that when Tiger gets airborne again it will be with a reduced domestic network. Its flights to Singapore are not affected, nor operations by owner Tiger Airways out of the city state. 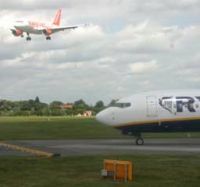 easyJet has confirmed the initial destinations that it will operate at Southend Airport, from April 2012. Seats have already gone on sale to Amsterdam, Alicante, Barcelona, Belfast, Faro, Ibiza, Malaga and Mallorca. In the first year 800,000 passengers are expected to fly, the airline basing three 156-seat Airbus A319 at the Essex airport under a ten-year agreement. 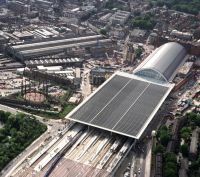 Eurostar points out that the year-on-year growth is particularly strong given that in the first half of 2010 the high-speed railway benefited from increased sales revenues resulting from the ash cloud disruption, during which it ran 70 extra trains and carried 100,000 more passengers. Excluding the positive impact of the ash cloud disruption on the 2010 figures, underlying first quarter sales revenues in fact grew by 12% in comparison with the same period last year. Hertz customers in key European markets will now be able to drive one of the finest sports car brands in the world as Hertz extends partnership with Lotus. Following a successful test introduction of the evocative sports coupe in Italy in 2010, the Lotus Evora has become the launch car of the new Adrenaline Range in the Hertz Fun Collection in France, Germany, Spain and the UK. The Evora provides car fans the opportunity to drive a hand-crafted, award-winning sports vehicle with stunning visual impact, exhilarating all-round dynamic performance, innovative chassis technology and high levels of luxury. 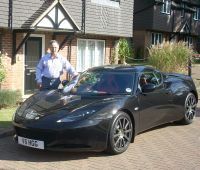 With its 2+2 seating, the Lotus Evora is ideal for customers wishing to add sporty glamour to their car hire. The County of Essex and Stansted Airport have joined forces to showcase the very best of the county for 2012 and beyond to a group of top airline executives. Guests enjoyed a fun packed day as part of a familiarisation trip to promote the tourism opportunities and highlight the benefits the Olympics will bring to businesses in Essex. The highpoint included a visit to the new Lee Valley white water rafting centre, host venue for the London 2012 Olympics. easyJet, bmibaby, Pegasus and Aurigny were just some of the airlines represented on the trip, which also included a VIP tour of a new contemporary arts venue in Colchester and an overnight stay at the Lifehouse Spa hotel in Thorpe Le Soken. New mood lighting has been introduced into the cabins of Virgin Atlantic’s latest A330 aircraft encouraging stress-free air travel. Initially available in Premium Economy only. 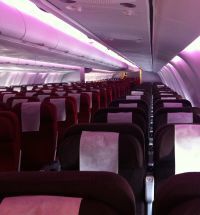 The lighting, which has been designed alongside architectural lighting experts DHA, changes colour throughout the flight to help passengers relax and unwind, fall asleep and even adjust time zones whilst the new soft apricot filter on the reading lights makes people look more attractive during their long haul flight. Research found that apricot is the most flattering for skin tones, whilst yellow causes people to lose their tempers more often and makes babies cry. Pink is seen as a relaxing, tranquilising colour and red is the most emotionally intense and stimulates a faster heartbeat and breathing. Cabin crew at Air France may have withdrawn their strike plans over the weekend just gone but now the pilots have called for a walkout later this week. Unions representing air stewards had planned to stop work from Friday 29 July, disrupting the busiest weekend of the year for air travel in France. They were protesting against the launch of Air France's new budget regional operation, which aims to boost productivity and compete better against low-cost rivals. However an agreement was signed just in time with compromises on both sides. Starwood is the latest 5-star western hotel operator to arrive in the Azerbaijan capital of Baku (see last week’s AERBT – Kempinski). Due to open in the autumn the new property adjoins the Heydar Aliyev International Airport. The opening of the Sheraton Baku Airport Hotel marks the entry of Starwood into the country and is part of the company's strategic expansion plan to open more than 60 Sheraton hotels around the world in the next three years. The hotel will have 207 guest rooms, including 14 suites, offering the only branded accommodation option in the vicinity of the airport. The hotel will also feature extensive dining, conference and leisure facilities as well as signature Sheraton amenities including the luxurious all-white Sweet Sleeper beds, a Sheraton Club Lounge and the Link@Sheraton experience with Microsoft – a communications hub where guests can socialise and also go on-line. Complimentary hot food service throughout the day on European services and cake for elevenses plus afternoon tea on UK and Ireland flights are some of the innovations being introduced by bmi Brtiish Midland International. 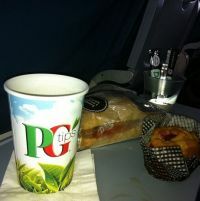 The airline claims to be the only European scheduled carrier to offer this courtesy in Economy Class on European flights. Hot breakfast wraps will be served on flights departing before 10:00, with tasty hot wraps then served on flights departing between 12:00-13:30 and from 17:00 onwards. Airports Council International (ACI) has introduced a new on-line course for aviation personnel who require awareness level training for passengers with disabilities and reduced mobility. Training guidance is a regulatory requirement under EU rules and also Canada and the United States. The course provides participants with an awareness of, and appropriate responses to, customers with physical, sensory, mental, and hidden disabilities, as well as those using ‘service’ animals, for instance dogs as used by blind people. Economy Class passengers on KLM’s long haul intercontinental flights originating in Amsterdam will be able to order à la carte meals from 14 September 2011. This is an additional service alongside KLM’s standard catering. Four different offerings will be available including vegetarian, Healthy Japanese, a light Japanese meal and Bella Italia, featuring popular Italian dishes; an Indonesian rice table including various traditional dishes and an exclusive vegetarian meal. 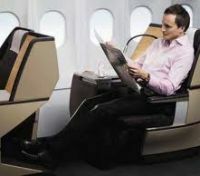 The meals are prepared with fresh and healthy ingredients, at prices ranging from €12 to €15. .
Singapore Airlines (SIA) is to introduce a long to medium haul low-cost subsidiary with an operational start-up set for spring 2012. An initial fleet of six Boeing 777-200s is envisaged. Rather like Tiger Airlines (in which it has a 50% stake) it will be managed independently. However the aircraft will come from SIA with a reconfigured new seating layout. Rivals Jetstar and AirAsia X both use Airbus A330 aircraft. The new subsidiary will fly the Boeing 777-200 model when it launches flights next year, after a "detailed evaluation" which no doubt considered the cost of leasing or buying new aircraft as opposed to redeploying the Singapore Airlines planes which are in line for replacement when new 787 aircraft start joining the fleet next year. The move reflects the fact the planned carrier will be using its parent's 'hand-me-down' fleet for which it already has aircraft maintenance operations for servicing. Singapore Airlines has long been committed to the 777 but also has A330s in its line-up. The rush to open routes up to China continues with Lufthansa-owned Star Alliance carrier Swiss adding Beijing from 11 February next year. A three-class Airbus A340 will probably be used on the route. The new flights to China’s capital mark a further expansion in Swiss services of the growing Chinese market, a development that began with the addition of Shanghai to the network in May 2008. Swiss also serves a third Chinese destination, Hong Kong. The new route marks a return to Beijing for Swiss, the airline previously serving China’s capital until June 2003. In this first of a regular series Gates and Company discuss the The Bribery Act 2010 – Is the airline and travel industry prepared? The Bribery Act 2010 (the “Act”) came into force in the United Kingdom on 1 July 2011 amid a fanfare of publicity as to how it will impact businesses in the future. Whilst the Act is a piece of UK legislation it has extra territorial application and is important for both UK and international businesses. The airline and travel industries conduct business in the international arena and should therefore be aware of how this could affect them going forward. The most notable development is the new corporate offence in relation to the failure of a commercial organisation to prevent bribery. It is a strict liability offence which in essence means that no evidence of wrongdoing on the part of the company has to be demonstrated in order for the offence to stand. In addition the offence can be committed by a business in the UK or overseas and all that is required is a “close connection” with the UK. Perhaps the most significant element of this offence is the fact that it can be carried out by a person “associated” with a business which could include employees, agents or subsidiaries. Businesses are able to avail themselves of the “adequate procedures” defence which is usefully explained in the UK Ministry of Justice (the “MoJ”) guidance note which was produced in March 2011. Broadly speaking a bribe is described under the Act as an offer, promise or giving of a financial or other advantage in order to encourage a person to perform a relevant function or activity improperly or to reward them for doing so. Similarly it will be an offence to request, agree to receive or accept a bribe as an inducement to act improperly. As regards the offence of bribing a foreign public official, the offence will be committed if there is an intention to influence the official. 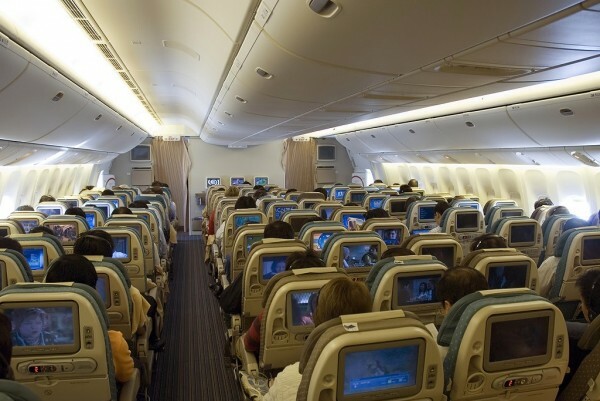 How could this affect the airline and travel industry? It is important to understand that a bribe does not necessarily mean a payment in monetary terms; it could include gifts or corporate hospitality depending on the intention behind the gesture. Invitations to corporate events, familiarisation trips and free airline tickets are not unusual in the tourism industry. They are frequently used tools in the on-going promotion of new airline services, worldwide destinations and overall public relations between airlines, tour operators and travel agents. The question that is frequently asked is whether these types of gestures will now be ‘caught’ by the Act. The MoJ guidance clearly states that it is not the intention of the Act to prevent companies and individuals going about their business in the normal way. Genuine gestures of corporate hospitality in the normal course of business are permissible in an effort to promote good public relations and will not be caught by the Act, provided there is no underlying intention to unduly influence anyone in order to obtain a financial gain or benefit. For example, if an airline gave a group of travel agents free tickets on its inaugural flight to a new destination in the interests of promoting the route this would probably be fine. Similarly, if a tour operator held a familiarisation trip to a new destination that consisted of a trip including flights and accommodation for one week with various tours of the destination, this should also be perfectly reasonable. The problems will undoubtedly arise if a business is tendering for a contract, perhaps to gain an exclusive hotel deal, where they ‘ramp up’ the hospitality for the hotel manager in an effort to try and secure the business; perhaps he would be offered a first class ticket on an airline to any chosen destination or an offer of ‘assistance’ to a member of his family. Any gestures that were provided in an effort to ‘influence’ the hotel manager to sign the deal would inevitably be caught by the Act. It is also important to note that a business does not need to have knowledge of the gestures provided in order to be caught by the Act as they can be made by an ‘associated’ person but the company will remain liable. Therefore even if a local agent makes the offending gestures, the parent company will remain responsible and potentially liable under the Act unless they can demonstrate they had adequate procedures in place to prevent this type of activity. The issue of ‘facilitation payments’ is another area where businesses may find themselves falling foul of the Act. Also known as ‘grease payments’, facilitation payments are sums paid to local public officials in order to carry out their official duties. For example it is not uncommon in certain jurisdictions to pay a local public official an additional sum to complete the renewal of a local operating licence. These payments are not permitted by the Act and would therefore be an offence. It is not entirely clear how businesses will be able to work around this issue where these types of payments are the norm in some jurisdictions, however the MoJ guidance reiterates that companies should have procedures in place to adequately deal with these requests. Businesses should therefore be aware of the proportionality and timing of any such corporate hospitality or gifts and whether such gestures are in keeping with the expectation of the parties. Lavish or overly extravagant gifts, if they are out of the ordinary and disproportionate, may be caught by the Act where they do not meet the ‘expectation’ test and there is a connection between the influence exerted and the financial gain of a business. Businesses must prepare adequately in order to avail themselves of the adequate procedures defence. The MoJ guidance details six principles that businesses should follow in implementing anti-bribery measures which include putting in place proportionate procedures; carrying out appropriate risk assessments; carrying out appropriate due diligence; having top level commitment to the procedures put in place; communicating this to relevant staff and suppliers including training that may be required and keeping such procedures under constant monitor and review. Preparation is not something that should be taken lightly as the criminal penalties are substantial. Criminal sanctions under the Act include jail time and unlimited fines for individuals; unlimited fines for businesses and company directors may be disqualified from holding a company directorship. Overall the Act is seen to support the Organisation for Economic Co-operation and Development (the “OECD”) recommendations in eradicating bribery and corruption worldwide. It is extremely wide in its application and will have far reaching implications for businesses both in the UK and abroad. It is therefore imperative for businesses and individuals to ensure they are fully prepared for the Act and should take active steps to implement policies and procedures as identified by the six principles within the MoJ guidance. Businesses should also train relevant staff, agents and suppliers in order to understand the reasons behind the procedures and in order for them to appreciate the potential international ramifications and relevance of their actions under the Act.